I can always count on my mother to give me culinary inspiration. 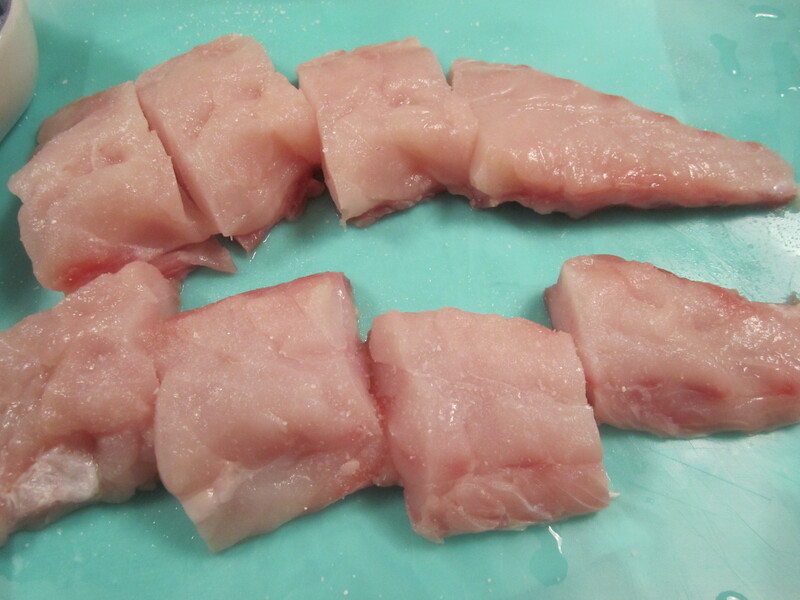 While at the fish market without any direction, I spotted tilefish–a local fish in eastern Long Island–similar to striped bass. The filets were thick, meaty and a nice healthy pink color. Since my mother is visiting this week, I thought I’d look to her for a cooking method. She told me there were only three cooking methods which her mother used for fish–either fried, in tomato sauce, or “in umido.” The last method involved white wine, onions, oregano and bay leaves. 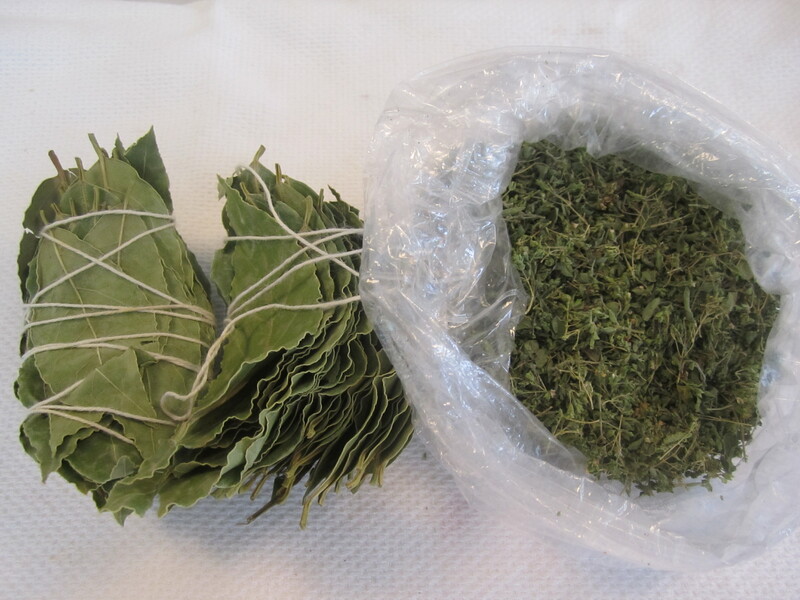 Since she just got back from a month in Calabria, mom had brought back a cache of bay leaves and oregano, freshly dried. This was the perfect chance to take advantage of them. 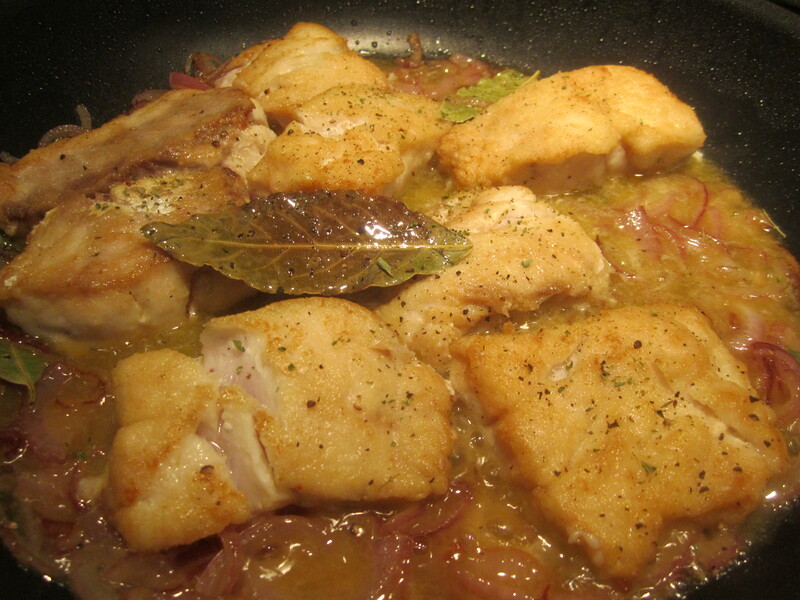 The method of preparation would involve making a simple sauce with sauteed onions, bay leaves, oregano and white wine, then slipping the fish in the sauce and allowing the whole mixture to simmer until cooked. 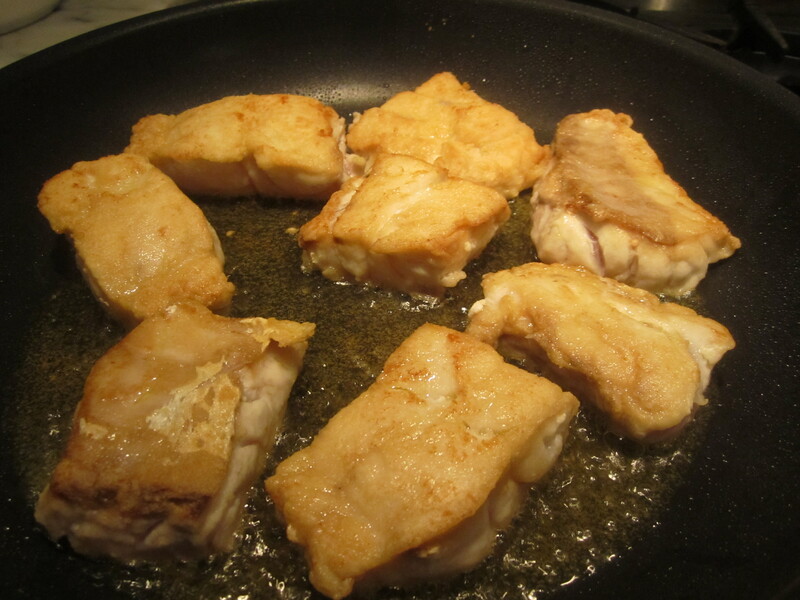 I decided to add one step to the process–dredging the fish in flour and pan-frying prior to making the sauce. The bits of flour clinging to the pan would provide a bit of body for the sauce (to be made in the same skillet as the fish). My mom had no problem with the additional step, so I proceeded with my version of the recipe. 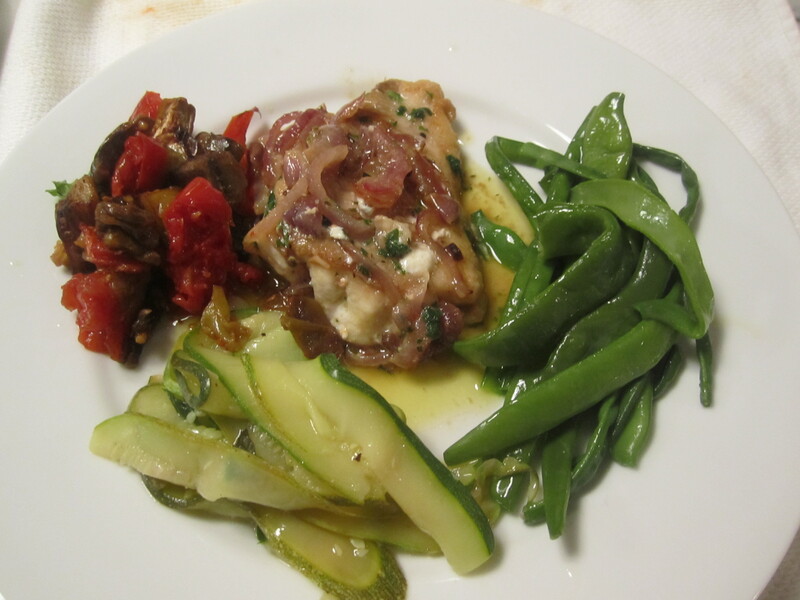 The results were spectacular–not least of all because of the aromatic bay leaves and oregano from Italy. The extra step of dredging and frying was definitely worthwhile and provided an added depth of crispy flavor to the finished dish. Use this method for virtually any firm fleshed fish–it’s virtually foolproof and takes about 20 minutes from start to finish. Along with the fish, we made another of my mother’s childhood favorites: zucchini and mint salad. Along with the salad, we had some simple boiled green beans from Beppi’s garden and roasted eggplant, peppers and tomatoes. 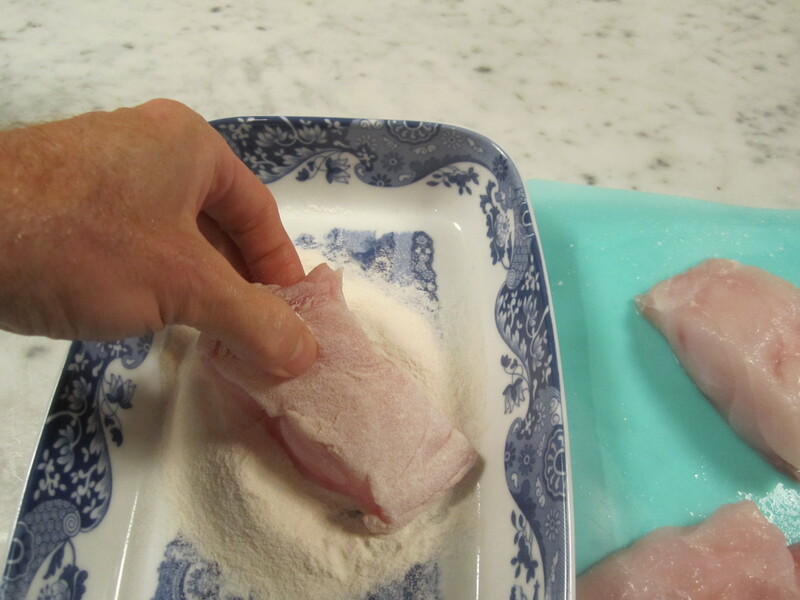 Season the filets well with salt and pepper on both sides and dredge in flour. Heat 4 tablespoons oil in a broad nonstick skillet until smoking. Slip in the filets and fry undisturbed on high heat for about 5 minutes or until golden on the underside. Turn and briefly fry on the other side (about 1 minute). Remove fish and set aside. 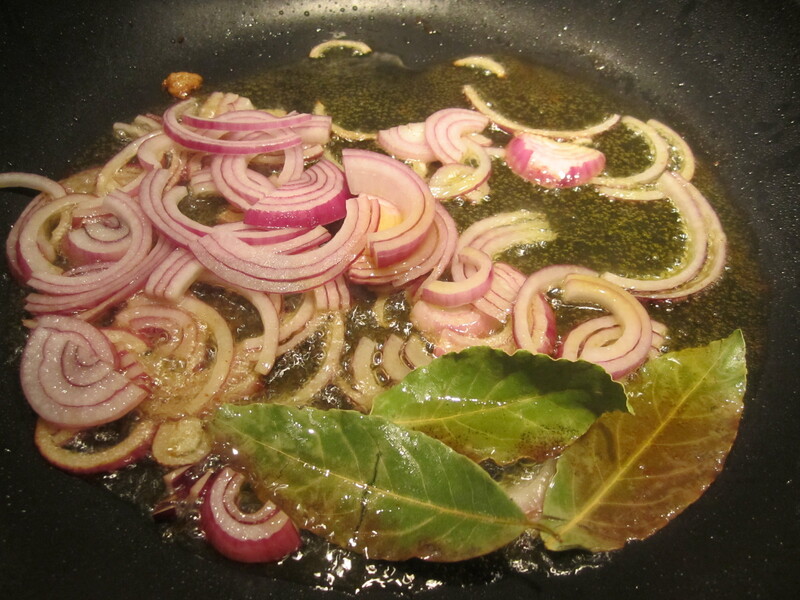 In the same skillet, add onions and bay leaves and lower the heat. Saute onions until slightly caramelized (about 8 – 10 minutes). Turn up heat and add white wine. 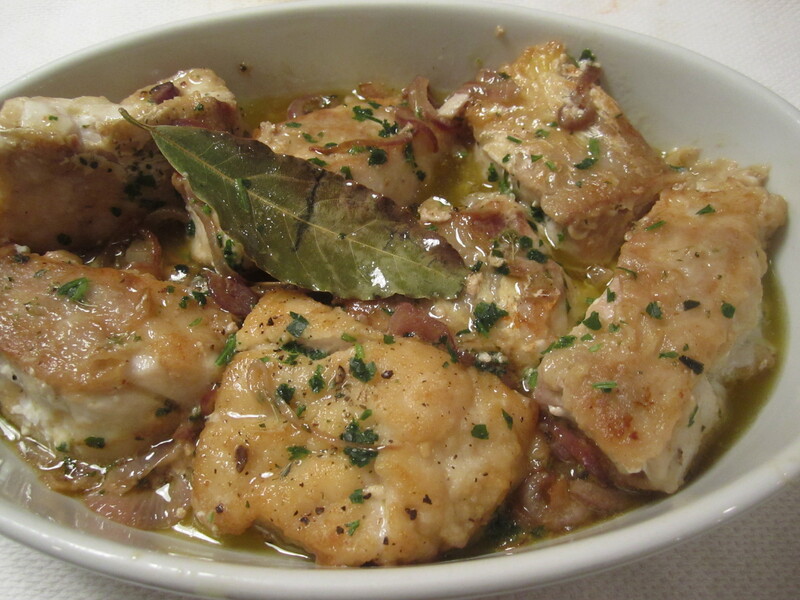 Reduce wine for about 2 minutes, then add back fish filets and sprinkle with oregano. Simmer, uncovered on low heat for about 5 minutes, or until fish is cooked through and sauce has thickened nicely. Taste and add salt, if necessary.